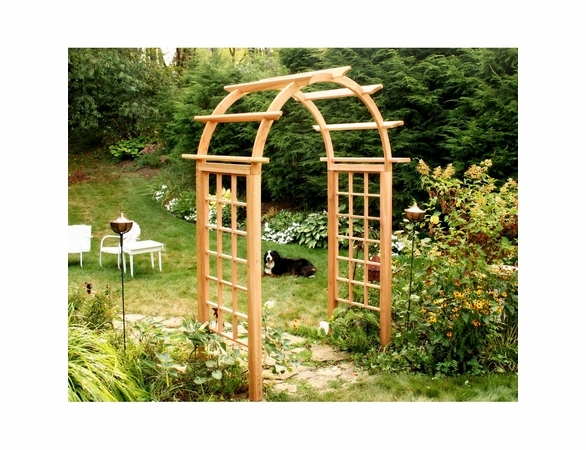 Let your flowers put down new roots and climb aboard our Arched Arbor. With its latticed sides and beautifully planked dome of solid red cedar, it makes such a sturdy vehicle, that soon it will be overcrowded with gorgeous blossoms striving toward new horizons. This decay-resistant arbor will also withstand the harsh winters, so you'll have even more reason to be thankful.